I live in Tayr Filsey, not Madaya, and I am fine. Fleeing #madaya civilians blame rebels for cruelty, theft..
— Residents have staged protests against the terrorists, demanding that they be allowed to access food and supplies. They have also staged demonstrations in support of the Syrian government and the Syrian Arab Army. 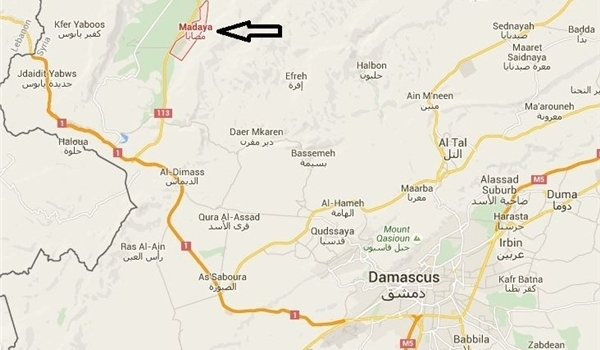 However, the case of Madaya was not reduced to one southern Lebanese girl, the propaganda was far and wide. Al-Jazeera published a photo of a man supposedly starved in Madaya, which turns out to be a photo of a refugee in Europe from 2009. Foua, Kafarya, Nubl, al-Zahraa… Don’t Exist?? On the other hand, two villages in Syria’s north, north of Idlib, have been surrounded by western-backed terrorists since 2011, and locked-down under siege since early 2015. Western and Gulf media have paid scant notice to the very real suffering of Kafarya and Foua (their lack of food, medical supplies, fuel…and the terrorist-fired rockets and mortars on the villages). In Kafarya and Foua 1700 have died since 2011, 300 since March 2015. 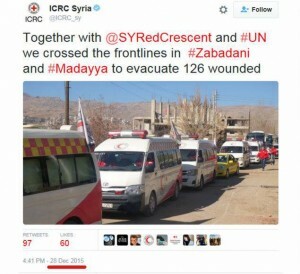 In Kafarya and Foua, Red Cross have not been allowed in by the “moderate rebel” brigades, the same brigades occupying #Madaya. A look at the besieged regions of Kafria and Foua’a regions in Idlib province as well as al-Zahra and Nubl in Northwest of Aleppo province that are totally ignored by the Arab and western media shows that they aren’t concerned about the humanitarian crises or human rights issues at all since these Shiite-populated towns have been besieged for years and photos show that the residents of Foua’a have resorted to eating grass and herbs, but the Saudi-led and western media outlets are mum. The Syrian army has several times tried to airdrop flour bags and bread to them after going through the terrorists’ intensive fire. The Arab and western media have not released even one single report on the situation of these regions’ residents. The Saudi-affiliated and western media streams which enjoy abundant financial and technical possibilities compared with the resistance media have been playing with their audience’s sentiments and cover reports based on their owners’ desires and interests, while the least important issue for them is human rights. Finally, the situation in Foua’a, Kafria, al-Zahra and Nubl as well as Madaya is for real vital, but the terrorists are the main culprits behind the situation and they are supported by Saudi Arabia and Turkey…. BEIRUT: The family of a south Lebanon girl depicted in a photo that went viral alleging to show a starving child from a besieged Syrian border town has expressed anger over the incident. “They took it too far this time,” Rosine Mazeh, the grandmother of 7-year-old Marianna Mazeh, told Al-Jadeed from their village of Tay Filsey in a report broadcast Saturday. She said the photo of her smiling brown-haired, blue-eyed granddaughter was originally posted to Facebook three years ago and had been doctored several times in the past by individuals promoting different causes. 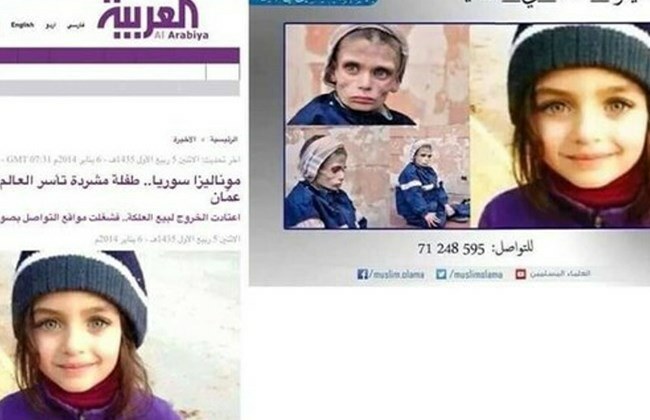 Most recently, the photo was circulated in a side-by-side with images depicting a skeletal figure said to be suffering from malnutrition as a result of a Syrian army siege in the town of Madaya, located several kilometers east of Lebanon’s border. 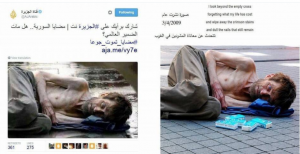 Several other photos circulating on social media and picked up by some international news agencies that alleged to show starvation from the town have also been revealed as fakes. Abdel-Wahhab Mazeh, the girl’s uncle, said the photo was taken outside a mini market in their village where she had gone to buy chewing gum. “When we saw this, we tried as hard as we could to show that this picture wasn’t right,” he told Al-Jadeed, pointing to a location on the ground where he said she was standing when the photo was taken. The girl and her father spoke during a separate report broadcast Saturday on Al-Manar from outside their home. “I live in Tayr Filsey, not Madaya, and I am fine,” she said. This article was posted on Friday, January 15th, 2016 at 7:38pm and is filed under Crimes against Humanity, Disinformation, Internet, Journalism, Media, Mercenaries, Militarism, NATO, Propaganda, Qatar, Saudi Arabia, Social media, Syria, Terrorism (state and retail), Turkey.